I think it’s safe to say that ants are the uninvited guests that keep forcing their way into everyone’s home, and while these little creatures cause very little harm, (except fire ants, get rid of these quickly), no-one likes to wake up to an ant trail on their kitchen counter. These pesky little insects are becoming nature’s biggest pests for a wide variety of people, and it’s becoming harder everyday to find effective methods of removing these critters from your home. While chemical solutions may prove to be effective in ridding your home of ants, many persons worldwide are beginning to gravitate towards the idea of more healthy and natural alternatives. Using chemical solutions may also do more harm than good, as children and pets may become exposed to toxic and sometimes even lethal chemicals. For those who are searching for a more natural and environmentally friendly method to get rid of ants naturally, these 5 home remedies have been proven and tested to work for you. Peppermint Essential Oil – This essential oil has been proven to not only repel ants but a wide variety of other insects and pests as well. Peppermint essential oil is an effective home remedy for getting rid of ants because of its distinct scent. This scent disrupts the pheromone trail that ants use to communicate and create a path for their counterparts to follow. A side benefit of having peppermint oil in and around the home is that it helps to significantly improve mental focus over time. To use peppermint oil as an ant repellent, simply place drops of the essential oil where there are openings in the home, for example on window sills and entry ways. Another method involves mixing peppermint oil and water to make a repellent spray, then using this spray wherever ants are present. 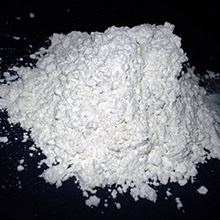 Diatomaceous Earth (Food Grade) – This chalky powder has been known worldwide for many years, but it has recently soared to popularity again as a multipurpose must have household item. While being completely non-toxic to humans and pets, it is lethal to smaller insects and pests, such as ants, and kills them upon ingestion. Diatomaceous Earth gets rid of ants on the spot by killing them instantly. Whenever they ingest this powder, it completely dehydrates the ants while piercing through their tough exoskeleton, resulting in their death. To use Diatomaceous Earth as a natural method for ant removal, just sprinkle the powder on openings in the home, or in spaces where ants may bundle together. It is also safe to be used in gardens and around plants, so you can also sprinkle some of this powder on the exterior of your home. Baking Soda – This household staple may be the most convenient natural remedy of them all, as it is normally already present in the home. Baking Soda is a multipurpose tool that is very handy to have around the house, and can be used as a natural deodorant, teeth whitener and remedy for sunburn. What many people don’t know is that Baking Soda is also a very effective home remedy for ridding your home of ants. It not only rids your home of ants, but it kills them as soon as they ingest it, which helps to also get rid of the colony permanently. To use Baking Soda as a repellent, simply make a sweet bait by combining equal parts of baking soda and sugar, and placing this mixture in an accessible container for the ants. Because ants carry food back to their colonies, this mixture will cause the decimation of the ants from the inside out. White Vinegar/ Apple Cider Vinegar – Another multipurpose natural product, vinegar is used for many things around the home such as cooking and cleaning, but its uses as an insect repellent are still relatively unknown to most of the general public. Apple Cider Vinegar is also beneficial to the body, and is known as an effective home remedy for weight loss and lowering cholesterol. Vinegar, much like the peppermint oil, has a distinct scent that keeps insects, including ants at bay. It’s properties also disrupt the pheromone trail left by the ants in a similar method as the peppermint oil. Both regular white vinegar or apple cider vinegar may be used to make this home remedy. To use white vinegar/apple cider vinegar as a home remedy, simply make a repellent spray by adding equal parts water and the vinegar in a spray bottle. Shake the mixture before spraying on ant trails or openings in the home such as window sills and entryways. For a super repellent spray, feel free to add essential oils such as peppermint and tea tree oils. Liquid Soap Spray – Liquid Dish Soap works to remove ants from the home by coating their exoskeleton and causing ants to suffocate. This simple and convenient home remedy is easy to whip up whenever you encounter an ant trail, and just a few sprays will rid your home of ants permanently. This mixture also removes the pheromone trail that ants use, so it will permanently stop other members of the colony from coming into your home. To make this liquid dish soap spray, mix equal parts liquid dish soap and water in a spray bottle and spray on ant trails, window sills and other openings in the home.For best results, use a natural castile liquid soap such as Dr. Bronner’s liquid soap for this mixture. Baking Soda may also be added to this mixture to improve its efficacy. There you have it, 5 natural home remedies to rid your home of those annoying little ant trails you wake up to. These natural remedies have been tried and proven to work, and will surely be effective methods of removing ants naturally, so instead of heading out to buy some chemicals which can be harmful to both your family and the environment, whip up some natural home remedies today.